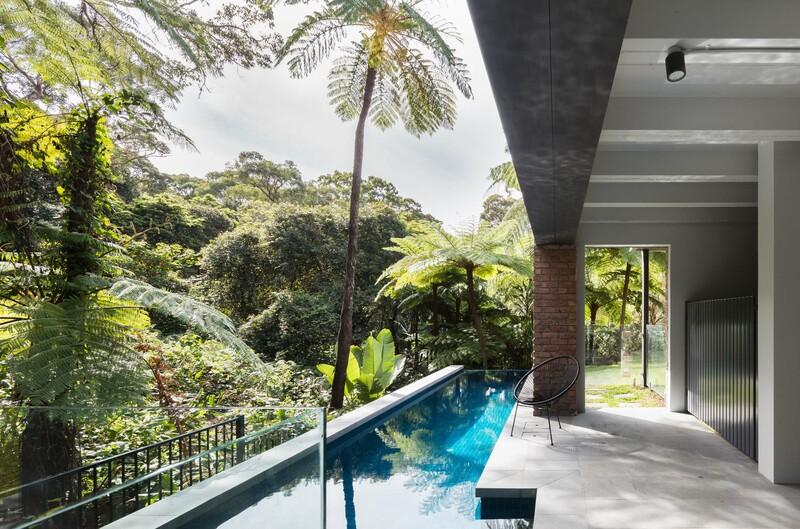 At the edge of Sydney Harbour National Park, the Burrawong House has undergone a transformation that establishes compelling links between the dwelling and adjacent bushland while minimising its environmental impact. 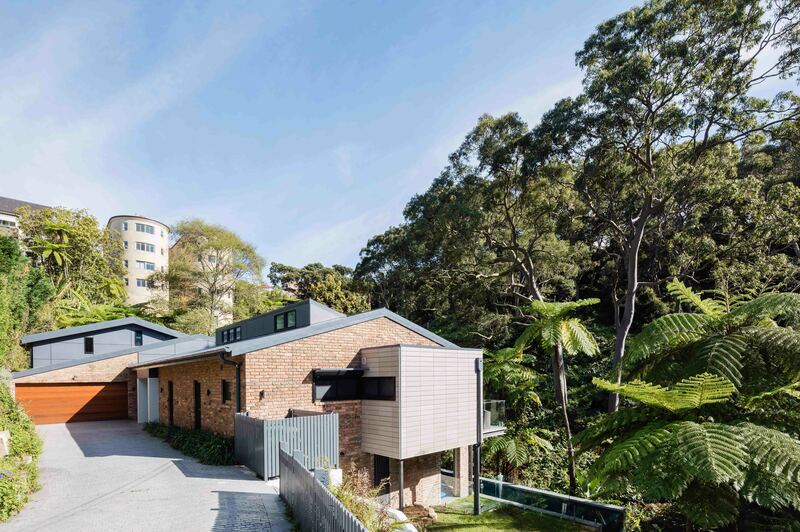 Through careful manipulation, alteration and augmentation of the original 1970s clinker brick dwelling, the design addresses a range of sustainable design factors, including passive strategies, retention of existing building fabric, resilient materials, and energy efficiency. Key design elements such as picture windows, clerestories, raking ceilings and internal/external spatial flows are leveraged to work alongside the dense bush foliage and comply with the BAL FZ zoning, with the reconfigured plan oriented and opened out for the living spaces to properly address the northern bushland vista. By deploying considered insertions and additions (under, at the sides and atop of the house) the extension of the dwelling footprint is minimised, allowing the substantial landscaped setting to be enhanced alongside a new integrated pool. 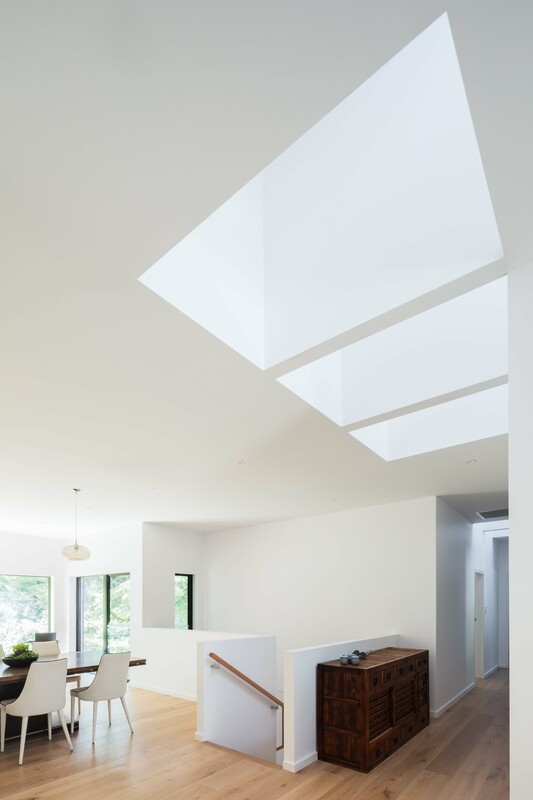 Passive design principles integrated to maximise natural lighting, cross-flow ventilation, and thermal massing. 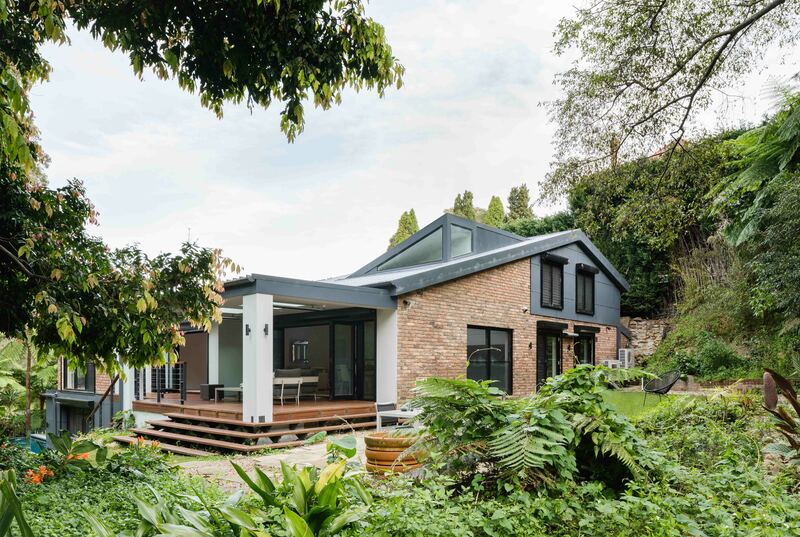 In response to the BAL FZ bushfire requirements, the materials such as Terracade terracotta cladding and Matrix FC sheeting were chosen not only for their code compliance, but for their resilience – resulting in an enduring aesthetic, excellent life cycle costing outcomes, and low maintenance – and excellent thermal performance. In response to the sensitive nature of the site, the design makes best use of the existing building and site topography. 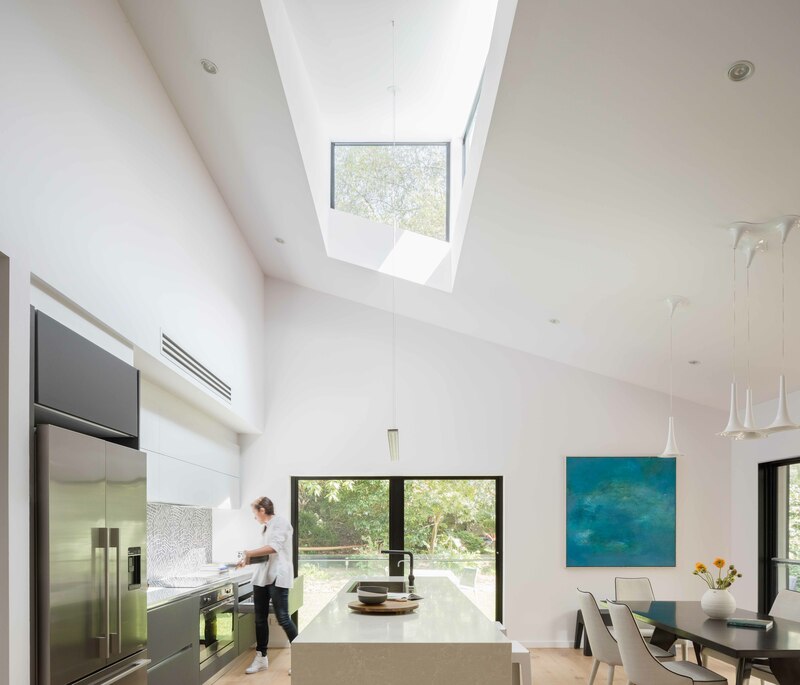 In turn, these controls on dwelling size and its physical footprint set the parameters for influencing and minimising the energy, power and water needs for living in this home.